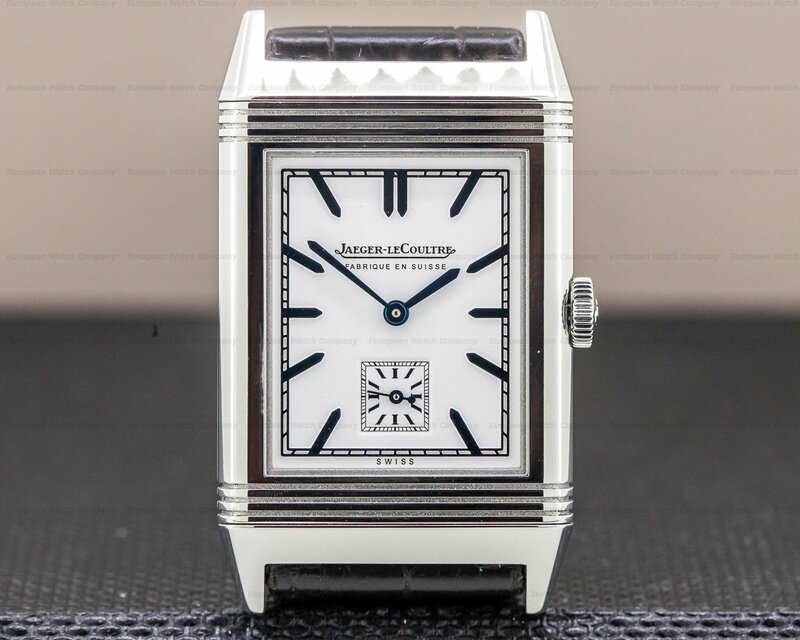 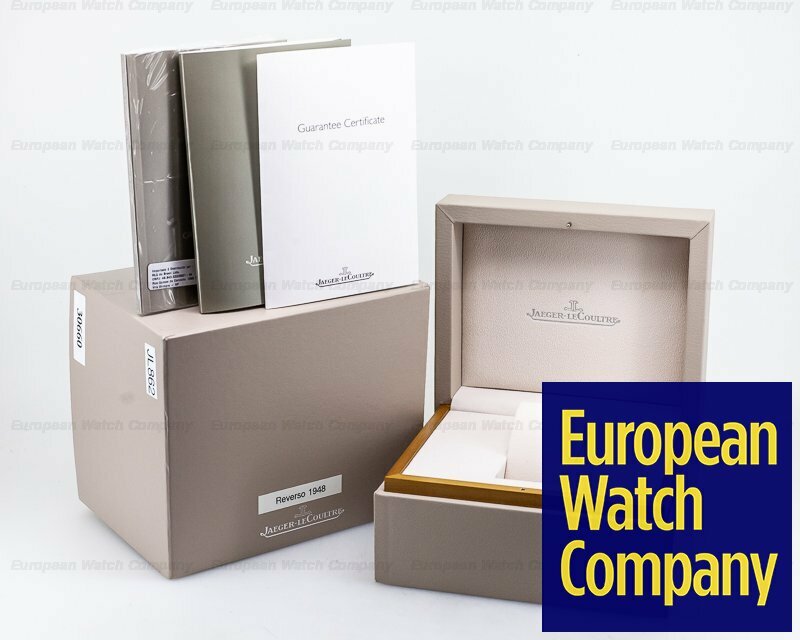 30660 Jaeger LeCoultre Q278852J Grande Reverso Ultra Thin 1948 278.85.2J 278852J Boutique Edition limited to 108 pieces, stainless steel on a strap with a stainless steel tang buckle, manual wind JLC caliber 822/2, white dial with applied blue stick hour markers, the reverse side features a solid caseback, size: 46 x 27.5mm, thickness: 7.23mm, sapphire crystal, water resistant to 30 meters, power reserve of 45 Hours, Like New with Box and Papers; dated 6/2015. 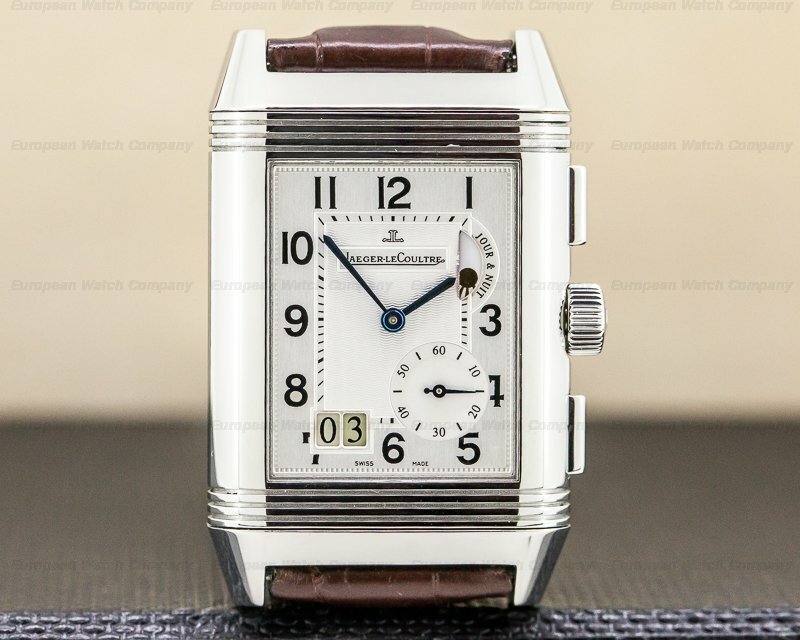 This is a stainless steel Jaeger LeCoultre Grande Reverso Ultra Thin "Tribute to 1948" Q278852J. 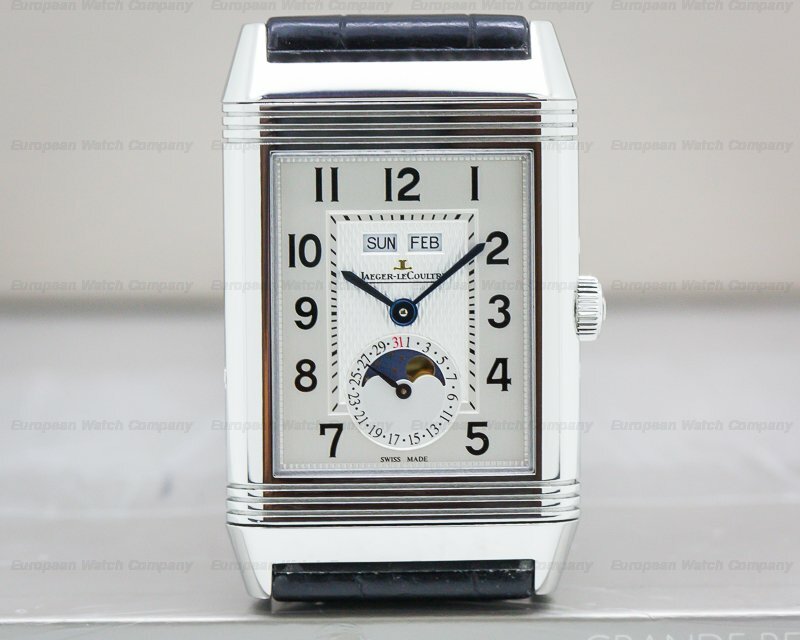 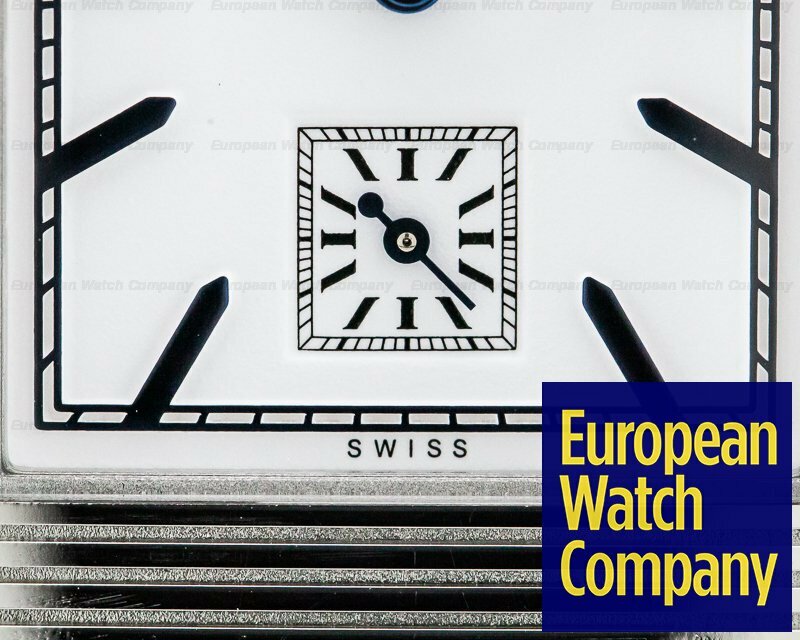 A pure, tonneau-shaped, art deco design has a dial with a " black brilliant" face, and applied luminescent faceted baton hour markers and hands. 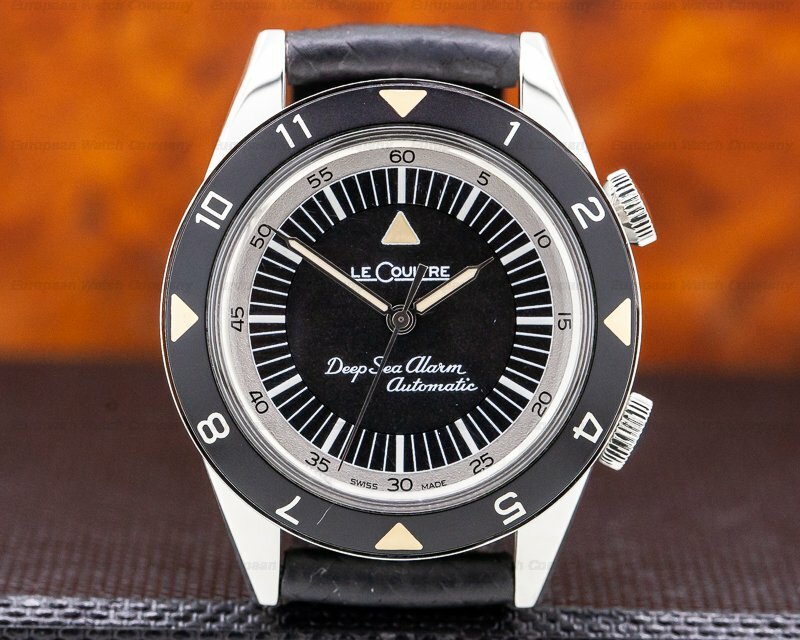 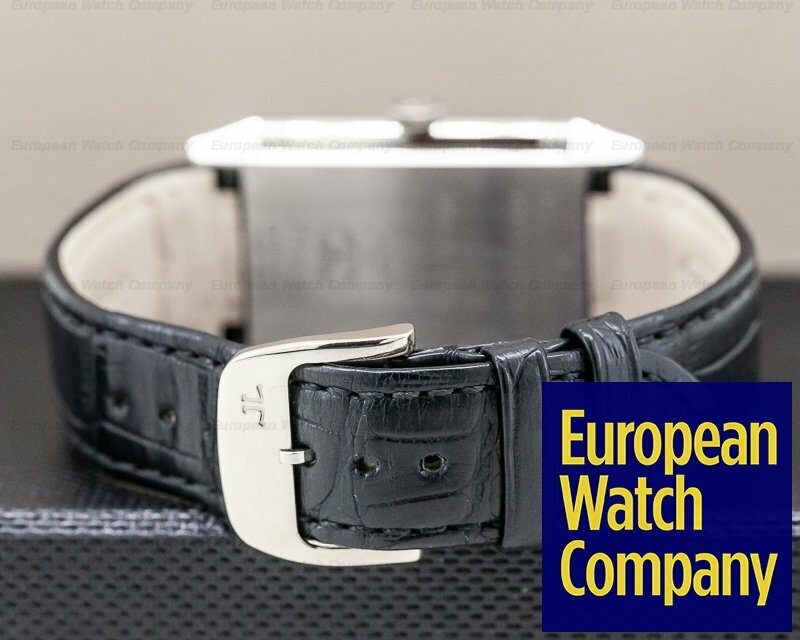 It has an alligator leather strap with a matching tang buckle, and it's water resistant to 30 meters, with a power reserve of 45 hours. 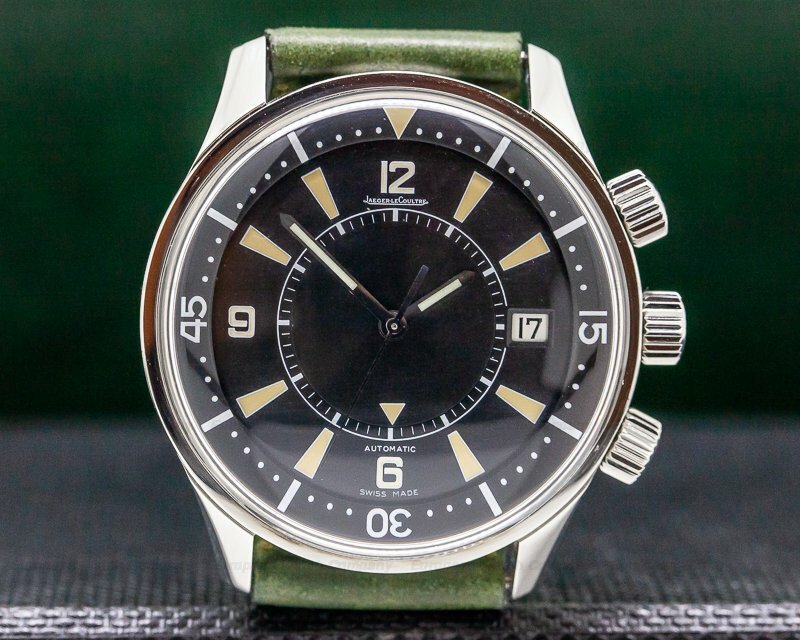 The 7.23mm thick case, dial, and movement are all signed. 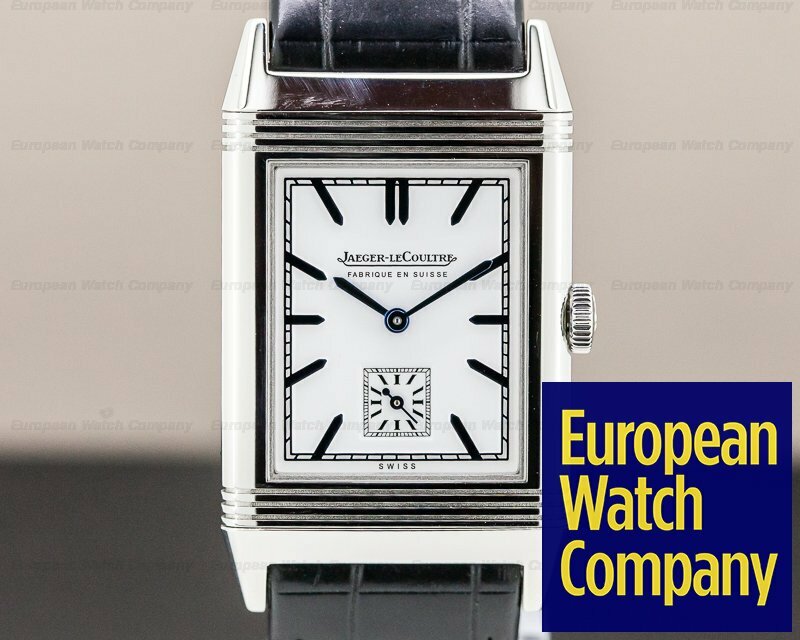 This Jaeger LeCoultre Grande Reverso Ultra Thin "Tribute to 1931" 2788570 has a mechanical manual winding JLC calibre 822 movement that's rhodium-plated with fausses cotes decoration. 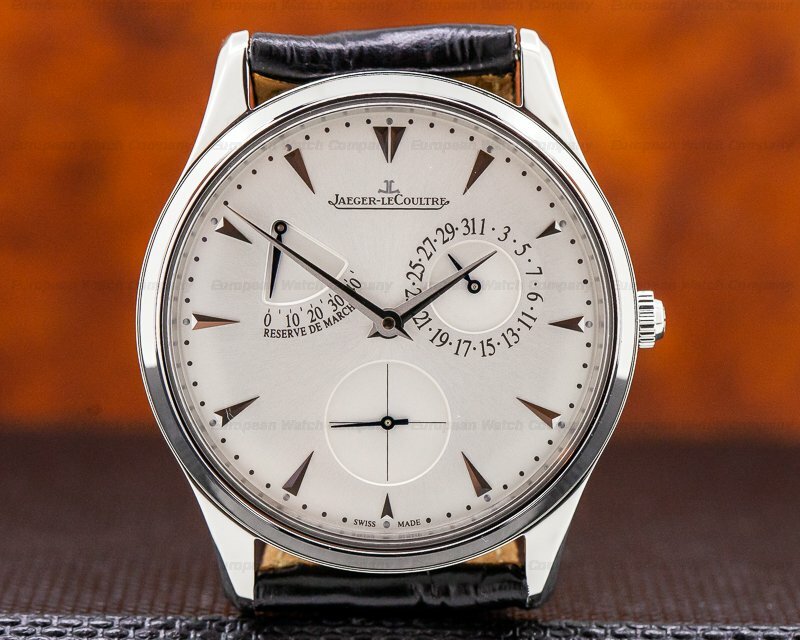 It's constructed with 21 jewels, 134 pieces, and the mechanism oscillates at 21,600 vph (3 Hz). 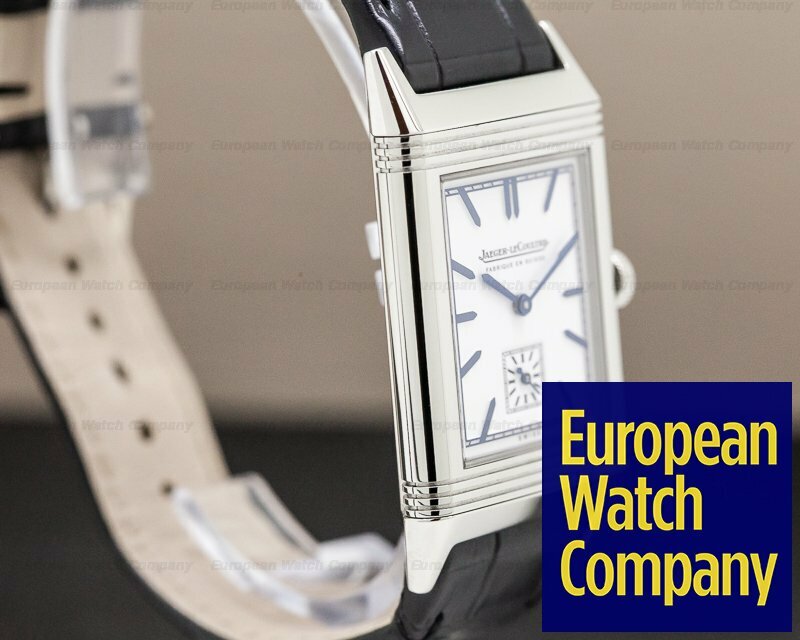 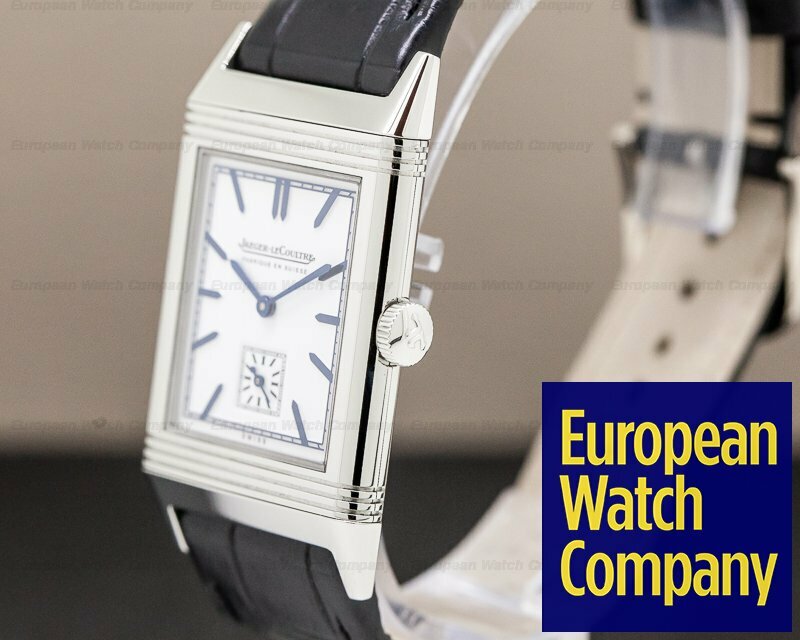 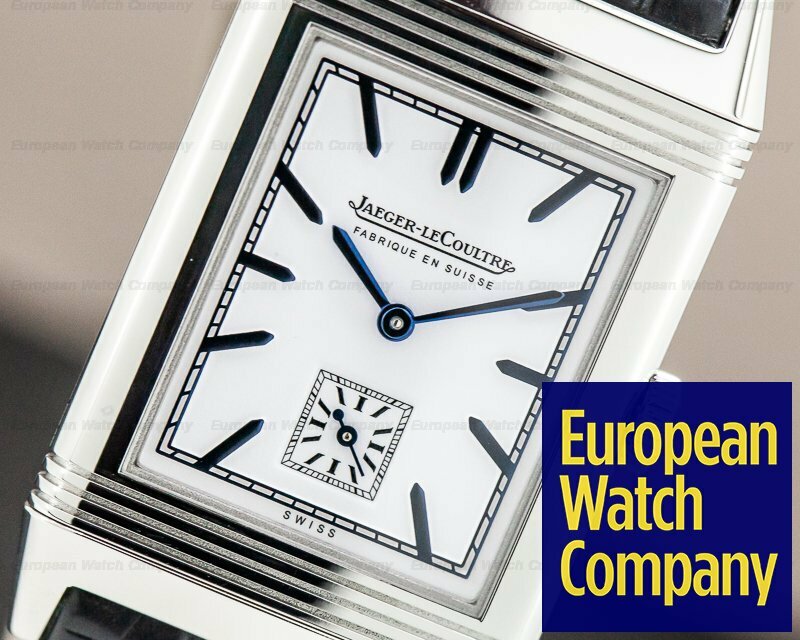 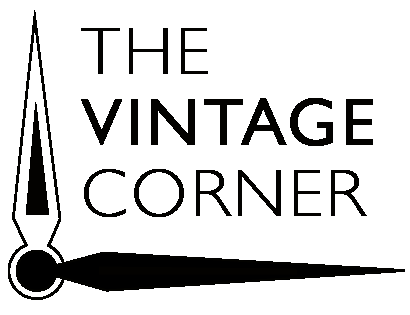 The Jaeger LeCoultre Grande Reverso Ultra Thin "Tribute to 1931" 2788570 is a tribute to the original, reversible 1931 watch that was invented for polo players who needed to protect their watch crystals from the extreme abuse during matches. 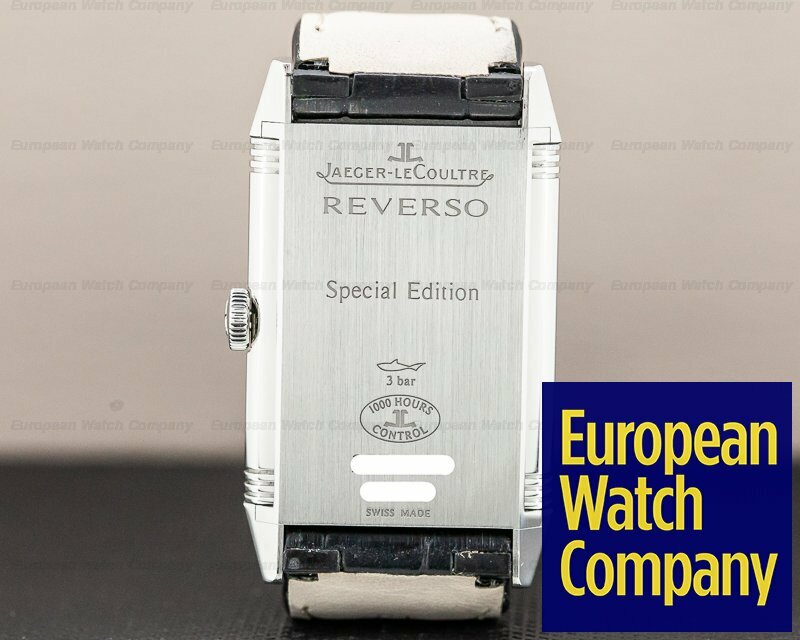 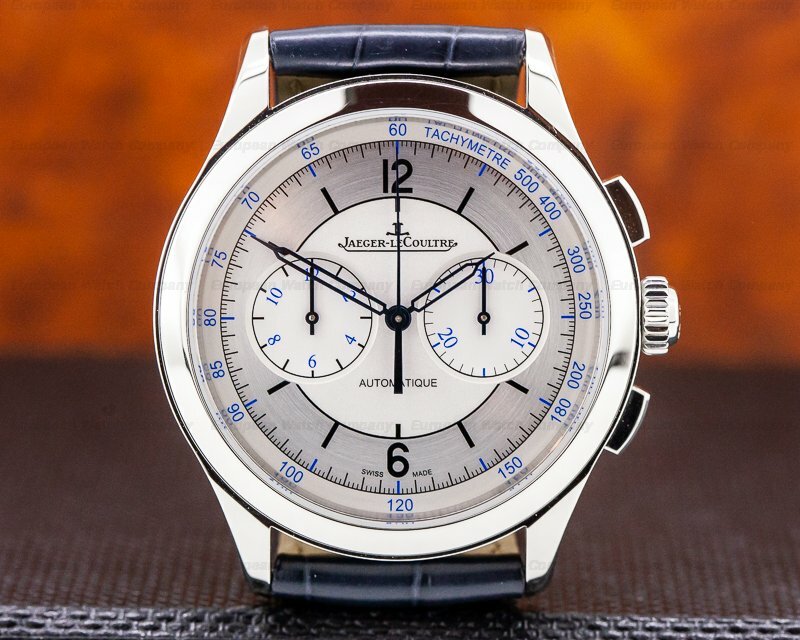 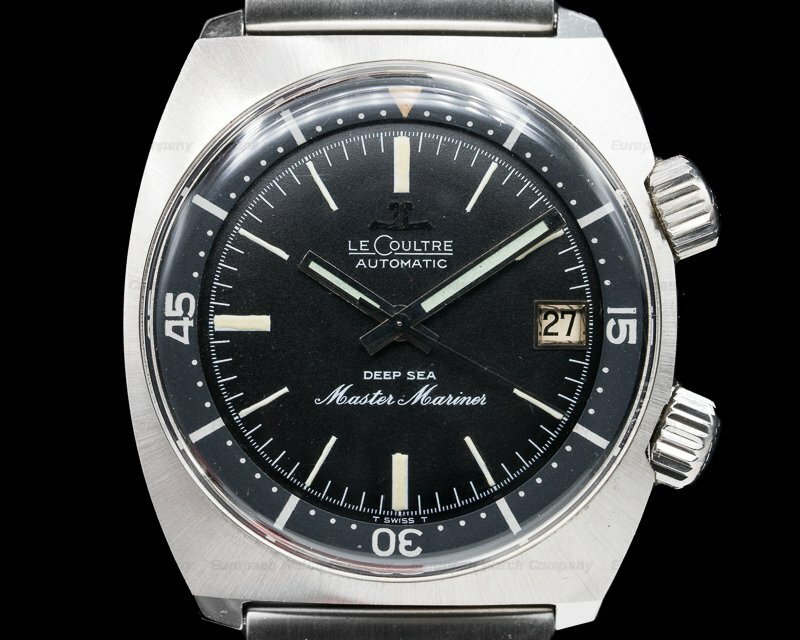 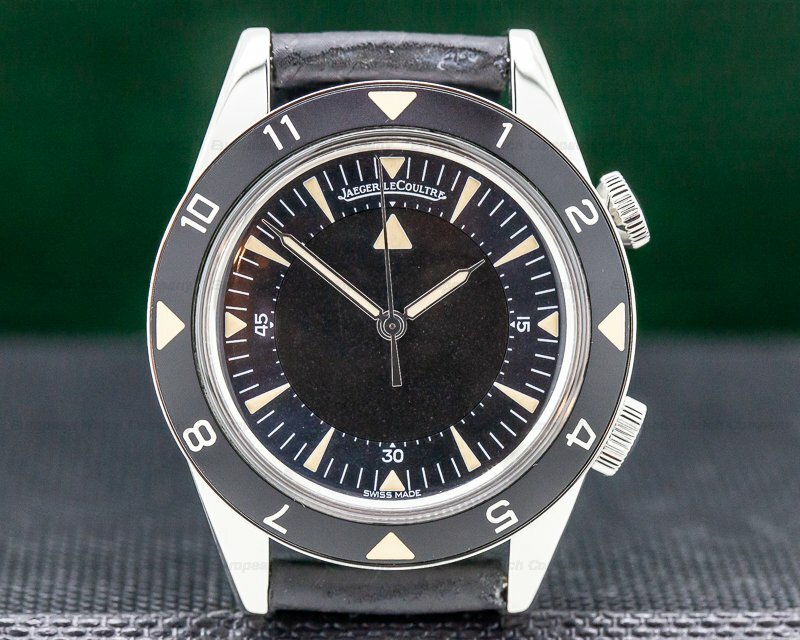 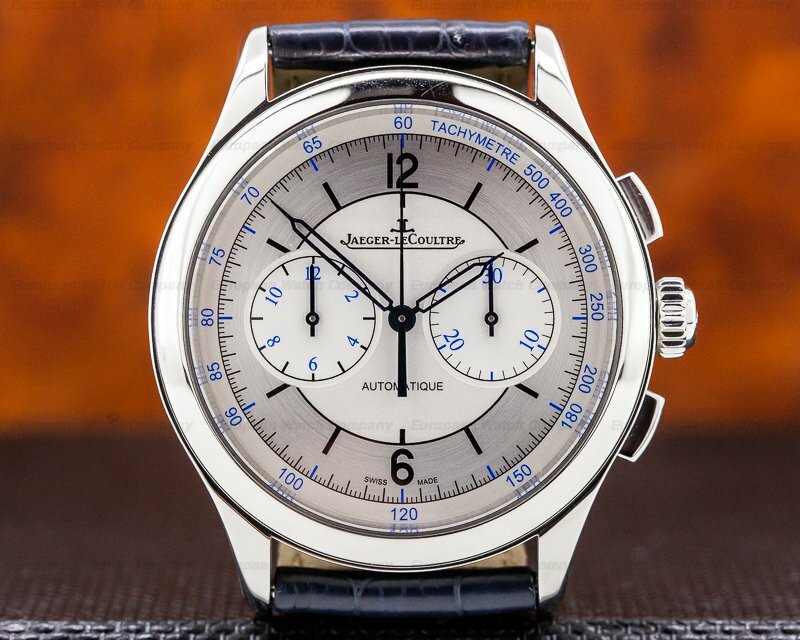 The dial is exactly like the 1931 original, which was designed by French designers Cesar de Trey and Renee-Alfred Chauvot; the calibre 410 movement and the unique, luxury reverso watches became signature icons for Jaeger LeCoultre.